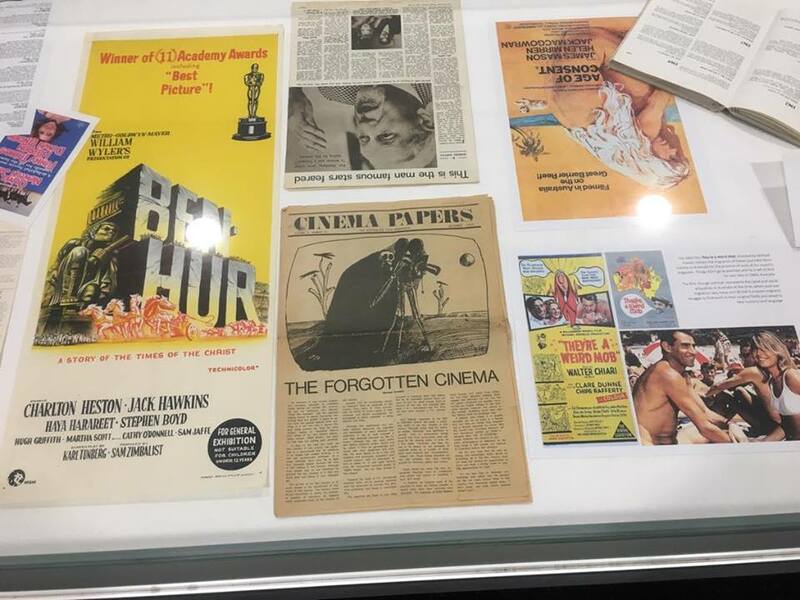 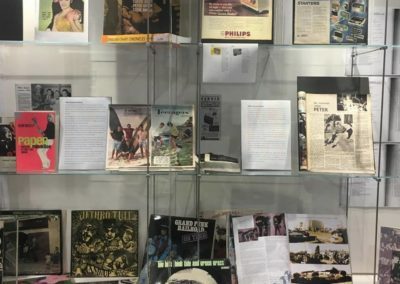 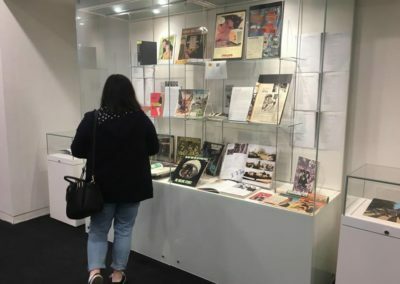 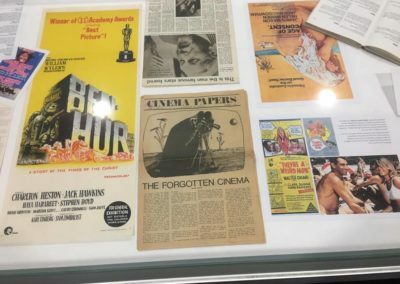 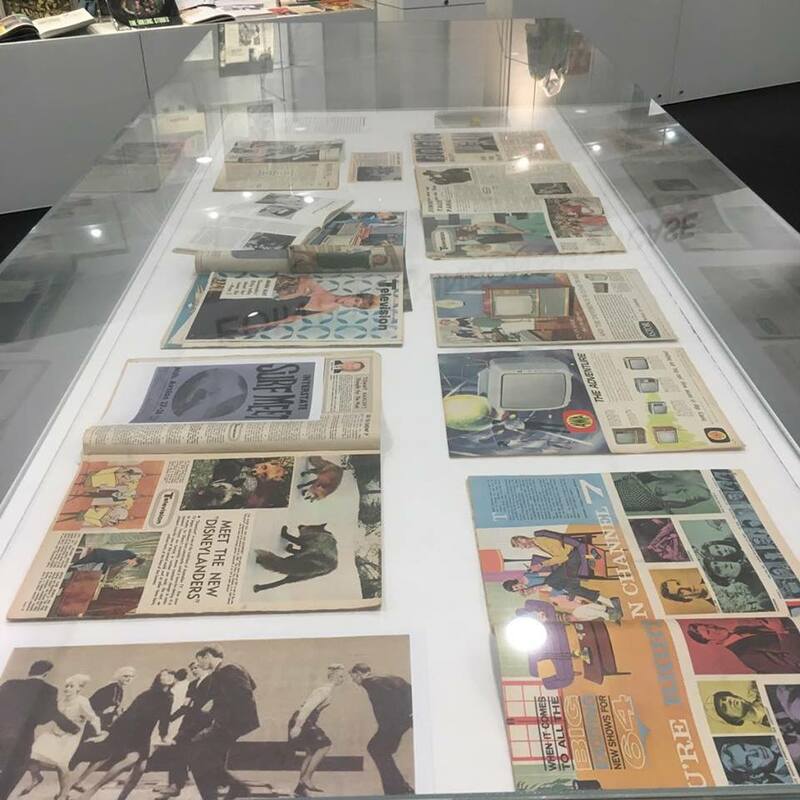 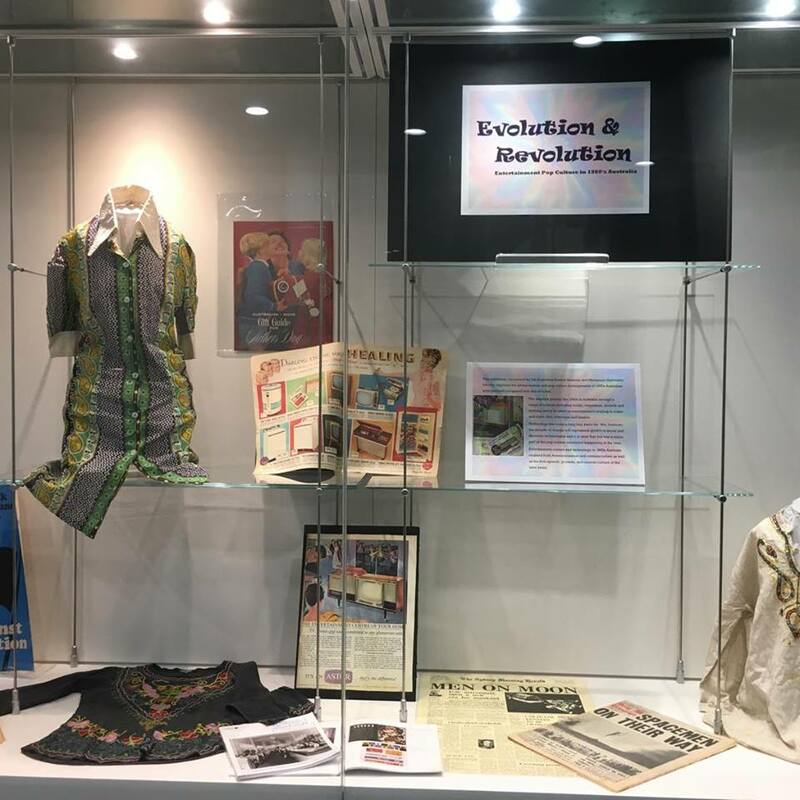 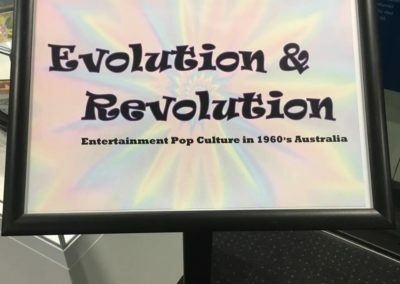 To celebrate History Week 2017, the Australian History Museum and Macquarie University Library co-curated the exhibition ‘Evolution and Revolution: Entertainment Pop Culture in 1960’s Australia,’ which traced the history of popular culture in the 1960s through the artful display of books, records, magazines, and clothing. 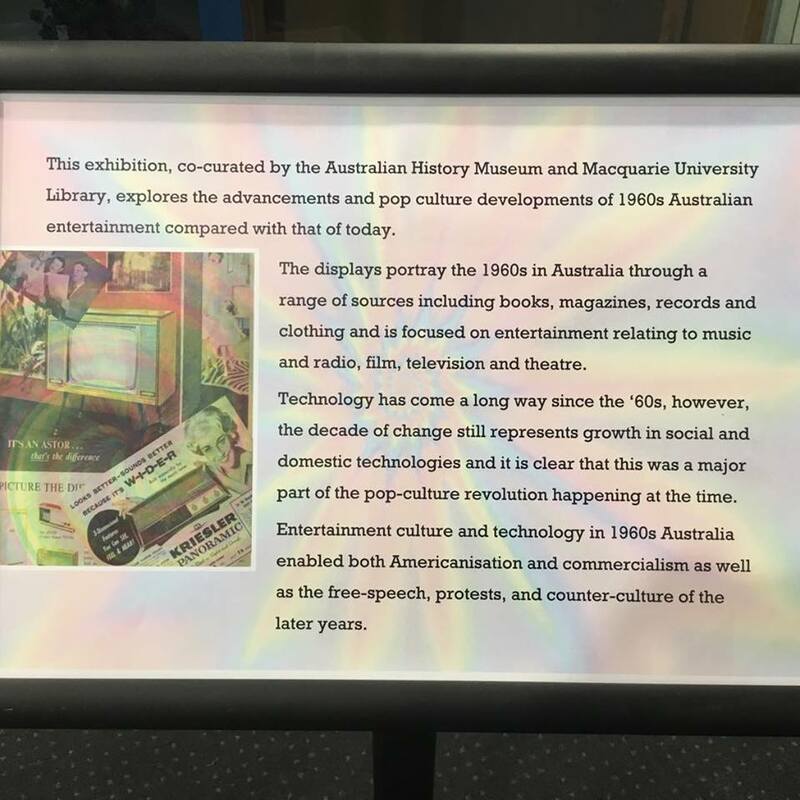 The exhibition told the history of radio and TV during the 1960s through advertisements and magazine articles that illustrate the excitement and importance of these emerging technologies to Australians. 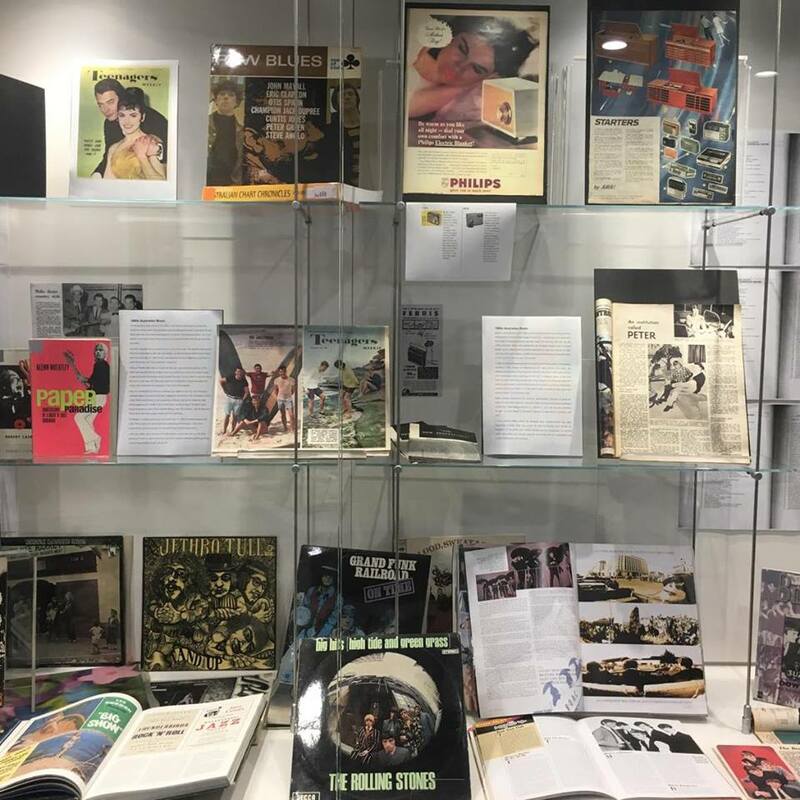 The popularity of music was highlighted through the display of a number of vintage records. 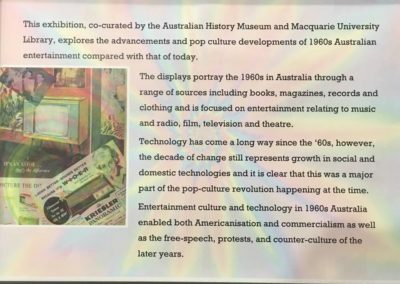 One of the most interesting elements of the exhibition was the inclusion of ‘Then’ and ‘Now’ labels, which the curators used to contrast 1960s entertainment technologies with those of today. 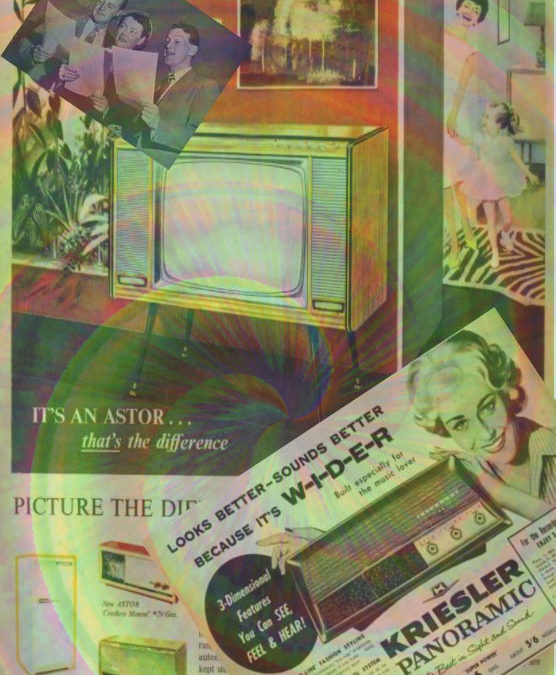 One of these includes the radio, which has been transformed into the more commonly referred to as “portable music devices” and come in many more shapes and sizes and have also been “integrated into other everyday items such as phones, computers and even refrigerators.” Since the 1960s, advancements in technology have also transformed the television set. 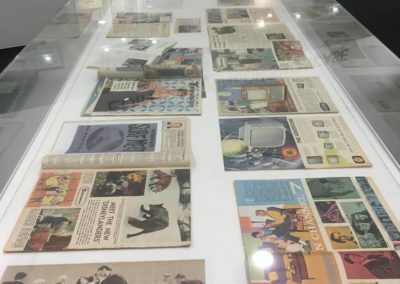 Today, televisions sets are “sleek, thin and large,” no longer designed just for functionality but also for how they ‘look’ in a home. 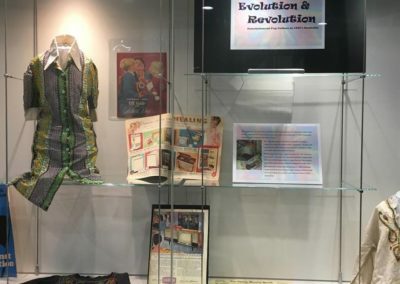 The exhibition did a wonderful job of colourfully highlighting the history of 1960s popular entertainment culture and just how much they have evolved in the last fifty-seven years. 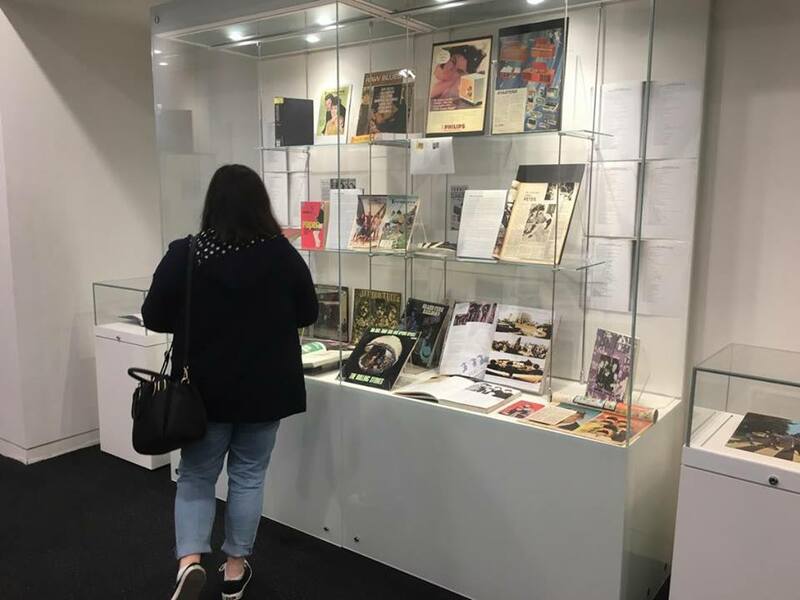 Check out some of the amazing exhibition images below! 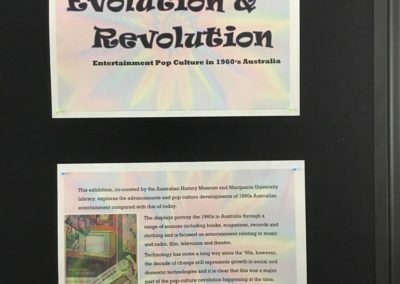 Thank you to Alexandria Hawkins, History Council of NSW Intern, who wrote this wrap-up and provided the images. 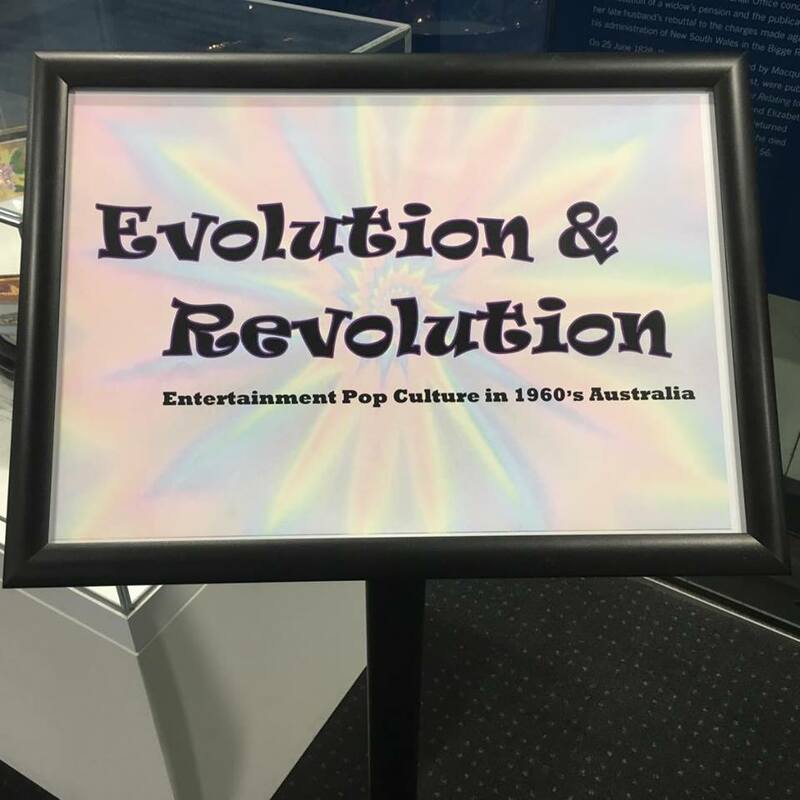 Thank you also to Jane Thogersen, the Australian History Museum and the entire team at the Macquarie University Library for their hard work in bringing about this event. 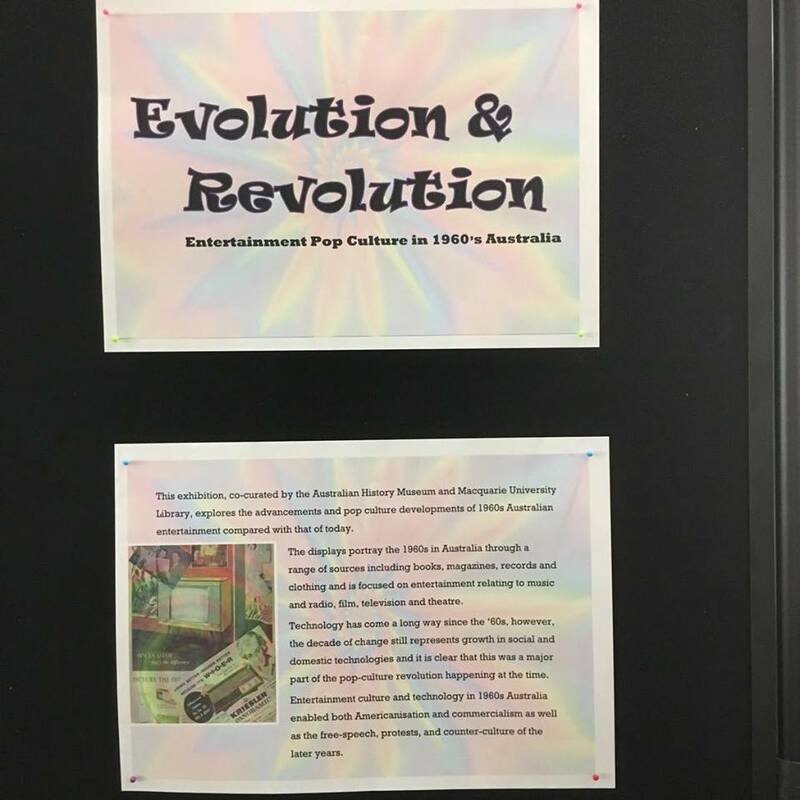 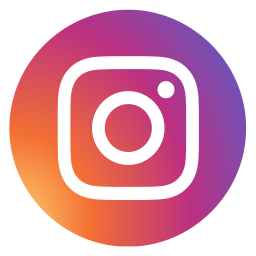 This event was proudly presented as part of History Week 2017, supported by Create NSW.